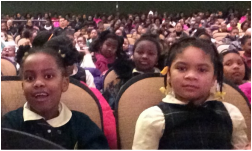 ​We are committed to supporting the art of dance and dance education among low-income, at-risk and minority youth. ​The ultimate goal is to break barriers and build bridges for youth through arts education and outreach. LSODF prepares youth for excellence on and off the dance floor by building their skills as young artists and implementing programming thAT promotes youth development. 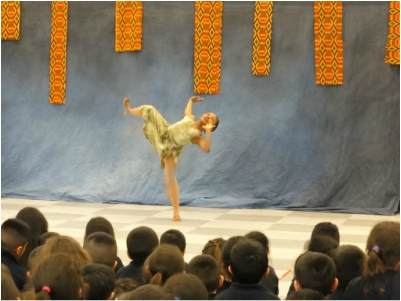 LSODF programs provide students with high-quality dance training, skill development and positive adult mentoring. Through maintaining high standards in its program, LSODF is able to empower the young artists to excel in dance and in life. Students receive rigorous instruction in ballet,tap, jazz, contemporary, lyrical, hip hop, modern and acrobatics as well as the opportunity to experience regional, national and international dance conferences and programs. LSODF connects students with auditions and scholarship opportunities for summer youth dance intensives and camps hosted by professional dance companies. The foundation also collaborates with reputable youth arts organizations and programs in the area to provide community outreach activities related to empowerment through the arts. earned each year by LSODF youth to attend dance conferences, workshops, summer programs and intensives all across the U.S.